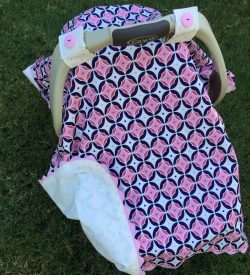 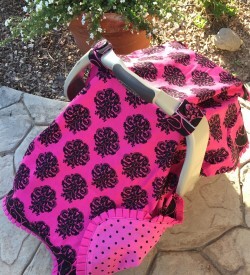 Be in style with this homemade carseat canopy cover. 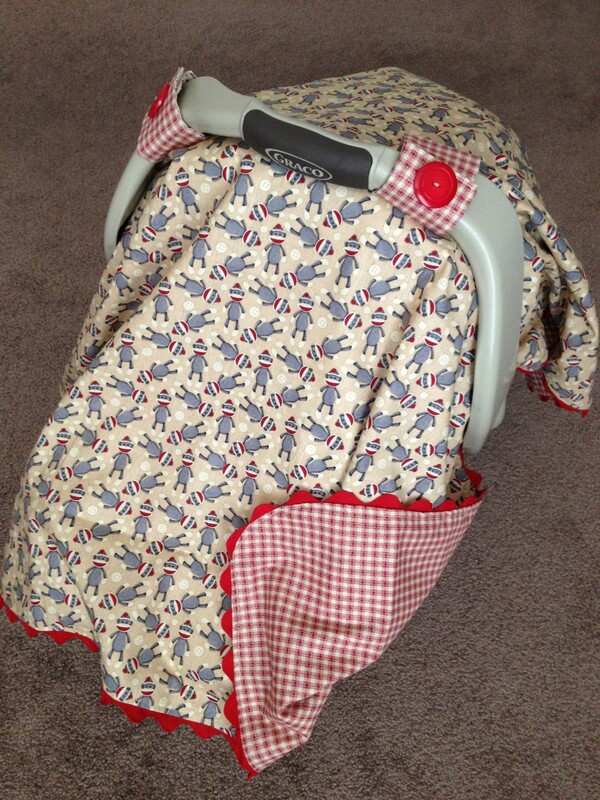 This beautiful canopy has red ric rac trim around the entire cover and has a coordinating red checkered fabric on the back as seen in the pictures. 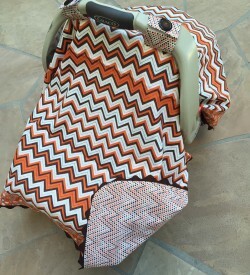 If you love this canopy cover then look for the matching diaper pouch available to purchase. 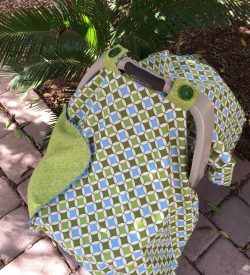 We do custom orders, so if you don’t see exactly what you are looking for or in the right fabric, email us and let us know what you are looking for!